Newelo’s solution for the automatisation and digitalisation of field jobs has helped Tampereen Sähköverkko Oy (Tampere Electricity Network) streamline its metering processes. Real-time data transfer and automatic reports in metering work save time for customer service agents and supervisors alike. 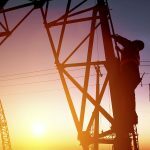 Prior to this, Tampereen Sähköverkko’s customer service agents were not able to receive real-time data on electricity disconnections and connections at various sites in the field. Installers used to update the data on metering jobs they carried out during the working day only at the end of the day, and thus the data became available in customer service systems at a delay. 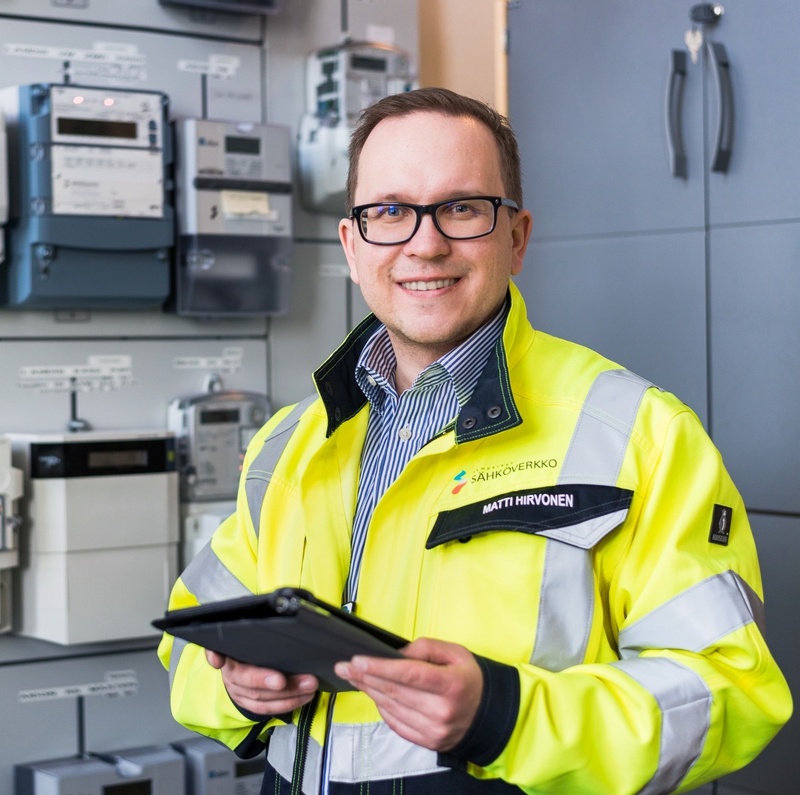 “We wanted to find a way to enter the data on electricity disconnections and connections and meter installations and replacements into our systems in real time and automatically, to ensure that we would have reliable metering data and that no jobs recorded on paper would be overlooked,” says system designer Matti Hirvonen from Tampereen Sähköverkko. We found that Newelo’s digitalisation solutions suited our requirements best as they allowed us to receive the real-time metering data that we needed to streamline our processes. The digitalisation of metering functions took place gradually. To start with, Newelo’s solution was used for disconnections and connections, and after roughly a year, Tampereen Sähköverkko started to manage nearly all other metering jobs through Newelo’s solution as well. Newelo’s solution has sped up many of Tampereen Sähköverkko’s metering processes. Matti Hirvonen thinks that the new system’s most significant benefit is the clear improvement in customer services, as customers can now be offered more precise service. Customer service agents can trust the information they see in their data system, and there is no need for them to double-check whether a customer’s electricity supply has been connected or not. Tampereen Sähköverkko carries out approximately 70 disconnections and connections a week, and the time savings enabled by immediate access to data are significant. Installers save time in the field as they can confirm metering jobs are done as soon they finish them. Our installers were able to adopt Newelo’s solutions with surprising ease. They were particularly happy with the mobile app because they don’t have to carry a separate device with them. Meters and customer information are shown on a map view in the installers’ mobile devices, enabling them to independently plan a practical driving route covering all tasks assigned for a working day. This cuts down on both the supervisors’ work and the time spent on planning routes. Supervisors are able to monitor the progress in a new way and see the data on completed jobs in real time. Newelo reports also show completed jobs on a monthly basis and simplify invoice verification thanks to the possibility of matching work hours with invoices using a single function in the system. Different user groups see Newelo’s system differently. As the installers have been using it in practice, they have come up with good development ideas for the system. Newelo has implemented many user-originated ideas related to the grouping of tasks and the display and selection of data. For instance, it is now possible to select mass tasks containing different individual tasks with the press of one button. We initially questioned whether a new and smallish company could provide a solution that would answer all of Tampereen Sähköverkko’s needs. However, Newelo showed us that it could, and our collaboration has been smooth and productive, explains Matti Hirvonen. “Newelo is a compact and agile collaboration partner. They have answered our questions promptly and generally implemented the changes requested by us quickly and efficiently. Changes can be slower and more complicated with larger partners,” Matti Hirvonen says. He also points out that Newelo has handled system updates without interrupting the users’ work. Tampereen Sähköverkko is about to renew both its customer data system and the system used to manage work orders and the life cycle of meters. According to Matti Hirvonen, the metering digitalisation implemented with Newelo will also help the company in the system renewal process. “Our old system was first integrated with Newelo’s system, to allow us to test the new platform in commercial production in good time before adopting it completely. This helped us free up resources for other tasks during the introduction of the new system,” he comments. Tampereen Sähköverkko also plans to extend Newelo’s solution to cover the management of the remaining meter-reading services that have still been functioning under the old system. In the future, the company will be able to use Newelo’s solution for other network components too, in addition to metering functions. The map view with meter and customer data helps the users plan optimal routes and saves time. Handy metering job updates on site using the mobile app speed up the installers’ work. Reliable, real-time transfer of data from the field into our systems improves the service we offer to electricity customers. Real-time monitoring of job progress and work loads makes it easier for supervisors to plan tasks. Various work-related reports speed up verification and invoicing tasks.